Published by almostaghost on January 3, 2013 in almostaghost and review. 0 Comments Tags: Aaron Dessner, Brooklyn, New York, Sharon Van Etten, Top 2012 Countdown. Tramp is the album that I listened to the most all year long, the album I kept turning back to, woke up with it in my head, wanted to hear it again and again. 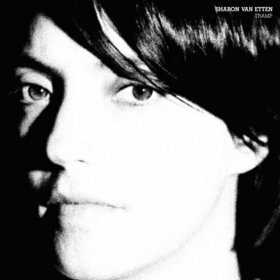 Sharon Van Etten has expanded her palette a bit, using more electric guitar and intensity, but still maintaining her beautiful hypnotic melodies. The songs hit on a lot of emotion, in a very conversational lyric tone–that’s her style–but instead of feeling extremely personal, that conversation invites you into the songs and moments. As great as her voice is, I think this is her talent. Her words have some wordplay and cleverness, so it’s not just pure emoting, but still many times it sounds as if she’s just talking to herself. But instead of feeling like eavesdropping on someone, it feels real, a mirror, a landscape. The conversation goes all over from frustration to humor and sadness to confusion and clarity, and often all in the same song. I lived with this album for most of the year and it impressed me more than any other in 2012.